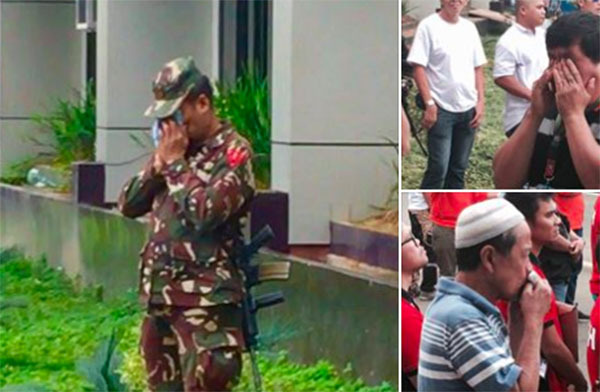 Soldiers and civilians went emotional during the flag raising ceremony in Marawi provincial capitol on Monday, June 12, 2017. In celebration of 119th Independence Day, officials conducted a flag raising ceremony in Marawi City — the first flag raising ceremony since the Maute group take over the city on May 23. While the flag was being raised, soldiers and few civilians couldn’t hold back their tears. Also, bombs fell over the center of Marawi where the fight still rages while the flag was being raised. Meanwhile, the death toll from the Marawi siege reaches at least 287 including civilians, enemies and military forces. Below is the death toll and casualties reported as of June 11, 2017.